the .NET Framework 4.0 dependency module is based on the .NET 3.5 module that is already part of the MSI Factory default install. .NET 4.0 Download - assumes that you download the web installer (dotNetFx40_Full_setup.exe) and that you place it on your own web server. At runtime, you will first download the web installer, which will then download the required files for the detected platform and then start the installation. Decompress this zip file in the "Bootstrap\Dependencies" sub folder of your MSI Factory installation. When you restart the Bootstrapper Designer, the two new modules will be available. 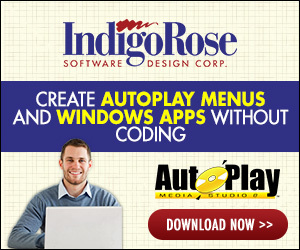 This dependency module is not officially supported by Indigo Rose. Use it at your own risk, and feel free to modify it to fit your needs better. how do I add the file to my installer... just downloaded and make in on of the files being installed? Will this work in Setup factory 8? This is a dependency module for the bootstrapper of MSI Factory. It cannot be used with Setup Factory, instead see this or this. i try to make an installer that use download the Dot net 4 from internet. but I get a problem to download. you are not giving many details about your project, log file or error message. Have you followed the instructions, and placed the installer on your web server so it can be downloaded from there? Where are the files for this? I do not see any files attached to this post. Could you direct me to where I could find them? Have you noticed that there are three hyperlinks in my original post for downloading the required files? Last edited by Ulrich; 02-15-2013, 10:43 AM. There were only the 2 hyperlinks to the .net installers. There was no link to the zip archive you mentioned, which is why I asked the question. The third one I didn't see until just now since it was embedded in the sentence. Thanks for the link to the zip file! ...sorry for the inconvenience, I appreciate the help. Any chance of the author updating the dependency module for .net 4.5x? I ask this because the provided .lua is very intimidating. A dependency for .NET 4.5 exists on my site for quite some time. Where is the .NET 4.5 dependency on your site? I've not been able to find it. Are we on our own to recreate a dependency module that apparently existed a few years ago? Maybe it wasn't fit for release? Anyway, a module that installs a .NET framework in the range 4.5 to 4.7 would probably suit our needs. We're looking for the "Download" version, not the "Include" version. Our MSI Factory 2.2 project has been using the .NET 4.0 dependency module for some time. Recently, an assembly was added that requires .NET 4.5.2 so the bootstrapper needs to be updated. If a module is available or I should ask somewhere else, please point me in the right direction. Thanks. It took me over three hours to get the installer for .NET 4.7 working, as there are additional quirks for Windows 7 SP1 and Windows Server 2012. Please read the licensing terms. Can the .NET 4.0 dependency module file be found somewhere? The link provided in the first post (http://www.mindquake.com.br/files/msi/NET4Framework.zip) is no longer working and I need the 4.0 dependency for a project. Can someone help, please?